Firefighting is dangerous. It’s a raw example of man subduing the forces of nature in order to protect civilization. In Rockland County, the public relies on an all-volunteer firefighting corps to provide this service. All of these men and women are heroes. One volunteer whose efforts have stood out over the years is Suffern Hose Company’s Bruce McClintock, this week’s Unsung Hero. 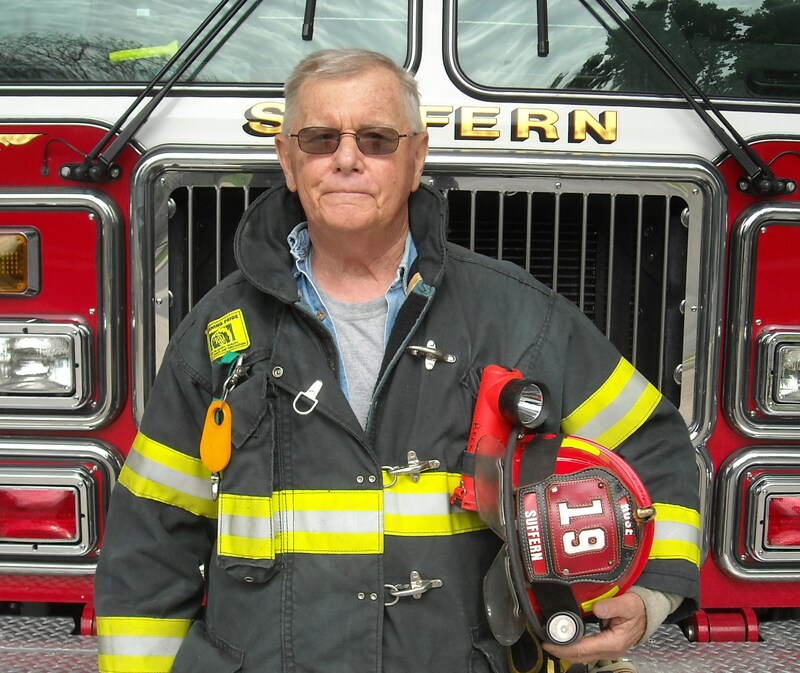 “Bruce McClintock is one of the most admired members of the Suffern Hose Company. All of the members look up to him and the positive example he sets. [After many decades] Bruce continues to serve in an active role within the company’s day to day operations,” Suffern Hose Company Captain Joe Bednarski told the Rockland County Times. “Bruce attends drills on a weekly basis, where he passes down priceless firefighting wisdom he has acquired from serving his community for over four decades. Bruce is currently one of the department’s safety officers. You can always find him at training events and fire scenes ensuring that all of the firefighters return home to their families safe and sound after every alarm. McClintock served in the United States Army in the Vietnam War, where he contracted a terrible illness. After he served as captain of the Hose Company, Bruce had a lifesaving liver transplant, which corrected his illness from Vietnam. He went on to return to active fire duty and became chief of the Department. “Bruce truly is an invaluable member of the Suffern Hose Company and we cherish each and every interaction we have with him,” Bednarski said. For 45 years, volunteer firefighter Bruce McClintock has served as Captain of the Suffern Hose Company, President of the Hose Company and Chief of the Suffern Fire Department. On the incident scene, firefighters connect hoses to sources of water and get the hoses in position by dragging, carrying or hoisting them into place. The primary purposes of a fire engine or hose company include transporting firefighters to an incident scene, providing water with which to fight a fire and carrying other equipment. Firefighters locate hydrants and other sources of water. They connect hoses to sources of water using various tools and get the hoses in position by dragging, carrying or hoisting them into place. Over his 45 years, Bruce McClintock has served at different times as captain of the Hose Company, president of the Hose Company and chief of the Suffern Fire Department. The mission of the Rockland County Volunteer Firemen’s Association (RCVFA) is the advancement of the interests of the volunteer firefighters, fire companies and the fire service, promoting and strengthening the bonds of unity among the various fire departments and companies throughout Rockland County. Also, to render assistance, encouragement, education and safety that would enhance the efficiency of firefighters and further their cause. The meetings are informational in order to keep members up-to-date on firefighting operations and legislation that pertains to them, with an emphasis on firefighter safety and wellbeing. For information about volunteering, visit www.suffernfire.org or call 845-357-8841.